Still getting your head around probiotic skincare? Well, the beauty industry has already moved on and postbiotics is the new buzzword. Admittedly, the focus is still very much on nurturing the balance of bacteria on your skin, but this new avenue takes biotic skincare to the next level. For those not au fait with the biotic lingo, here’s everything you need to know about pre-, pro- and postbiotic skincare. Like our gut, “our skin also has its own resident microbiome with a diverse community of bacteria, fungi, viruses and mites,” explains dermatologist and Eudelo founder Stefanie Williams. “Overall, human skin harbours approximately one billion microbes per square centimetre.” The thought of these microbial critters on your skin might make you itch, but they have their benefits. A healthy microbiome strengthens your skin barrier and locks in hydration while also fending off infections and reducing inflammation. Everything from your age, diet, stress levels and choice of skincare can affect the equilibrium. “Changes in the skin microbiome have been connected to a number of concerns, including acne, rosacea, atopic dermatitis and psoriasis,” says Williams. While more of us are opting for mild cleansers rather than the skin-stripping stringent formulas that were popular years ago, probiotic skincare goes one step further. “The formulas contain the live so-called ‘good bacteria,’ which helps to maintain the balance,” says consultant dermatologist Justine Hextall. If you battle with acne and rosacea, topical probiotics are particularly beneficial, as a study in 2014 found that probiotic skincare can help ease inflammation. Lactobacilli or lactococci, from the family of lactic acid, are popular strains of bacteria used in skincare formulas. These bacteria produce lactic acid, which helps reduce breakouts and the appearance of fine lines and wrinkles. Beauty brands tend to champion different strains of bacteria. For example, Gallinee uses lactobacillus family while Aurelia Skincare prefers bifido bacteria combined with a milk peptide to strengthen your skin barrier. Live bacteria is near-enough impossible to keep stable in a beauty product, so most brands use non-live probiotics that have been deactivated with heat. Mother Dirt is one of the few that incorporates live bacteria. Centuries ago ammonia oxidizing bacteria (AOB) used to live on our skin, and Mother Dirt has brought it back. AOB turns the ammonia and urea from your sweat into nitrate and nitrate oxide, which have a balancing, soothing and calming impact on your skin. Just like with a pot of natural yoghurt, though, you do need to keep you Mother Dirt in the fridge once it’s been opened. So, where do prebiotics come into it? It’s worth noting that most probiotic skincare formulas include prebiotics too. Drago incorporates prebiotics from chicory, beet and yacon into Gallinee’s formulas. Considering the strong links between the bacteria in our gut and on our skin, it’s no surprise that skincare experts are beginning to discuss the possibilities and potential of topical postbiotics. None are available yet, but surely it’s only a matter of time? Shop our favourite pre- and probiotic skincare products below. 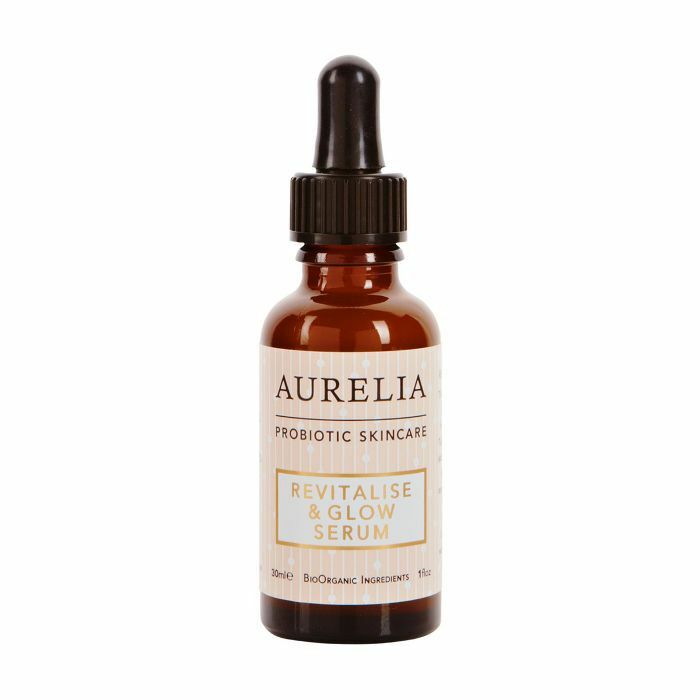 A potent hit of probiotics is contained within this serum that undoes skin damage and bolsters your complexion’s defences. Mist your skin twice daily with this bacteria-rich spritz. It helps to restore balance to troubled skin. Note: You have to keep this in the fridge just like edible probiotics. Foaming cleansers are notorious for leaving skin feeling tight, and this gentle option contains good bacteria to nourish skin, as well as lactic acid, which gently exfoliates to keep it looking smooth and healthy.